It is often thought that a computer’s central processing unit (CPU) handles everything within a computer. To some extent, this is true; however, CPUs have delegates per se. These delegates are referred to as chipsets and they have dedicated and specific tasks to carry out. Depending on the chipset and its location, the respective chipset handles that part of a computer and relays information back to the CPU – hence the central part of CPU’s spelled-out name. If you’ve ever opened your own computer case or assembled your own personal computer, you may have taken some time to look at the motherboard that holds all the components together. The motherboard is known as a circuit board and is responsible for holding pluggable modules, as well as providing whatever other input / output devices per integrated slots and ports. Not all motherboards are the same and may each offer different slots. Aside from the CPU socket, other common slots and ports include: random access memory (RAM) modules, used for rapid CPU access for additional memory addressing; accelerated graphics port (AGP), used for video cards regarding gaming or graphics editing purposes; serial advanced technology attachment (SATA) ports, used for the persistent storage of files and programs; and peripheral component interconnect (PCI) ports, which vary in purpose but you can add a Wi-Fi module or other peripherals to connect to your computers motherboard. Another common port would be universal serial bus (USB) which allows connectivity of mice and keyboards – what an upgrade from punch cards! For PC motherboards, there are two main chipsets: the northbridge and the southbridge. The northbridge is directly connected to the CPU, allowing for faster transmissions between it and ports that require faster speeds. These include your RAM modules and PCI express cards, as well as AGP. A southbridge handles non-express PCI busses, USB ports, and hard disk connections. Usually these components do not require communications as fast as the components communicating with the northbridge. It makes sense if you think about it. Latency in RAM, for instance, can cause other issues with a computer running smoothly. Likewise, for graphics cards; imagine your screen(s) rendering tearing during a game of some sort – very unpleasant. Each of the above-mention components is connected to a slot, known as a bus. No, not school bus nor a transit bus, simply a piece of circuitry that interfaces a connected component to the respective bridge. These busses have individual speeds depending on if they’re connected to the northbridge or the southbridge, as well as its purpose. So How Does Communication Between CPU and Other Chips Happen? This is a great question, as I had the same thoughts. Prior to researching this, I assumed there was some sort of API (application programming interface) that handled this. These take form in what we know as device drivers. In short, seeing that whatever pluggable peripheral modules are available can potentially be programmed in multiple ways, there needs to be some standardised format in which to communicate with a computer’s CPU. After researching this I found I was on the right track, save the technical details of how this is done. As fascinating as this is, the exact steps are well beyond the scope of this, but I would suggest reading the references for some insights I used in better understanding this aspect. To sum up the process though, the CPU works through the northbridge and southbridge to talk to other connected components. 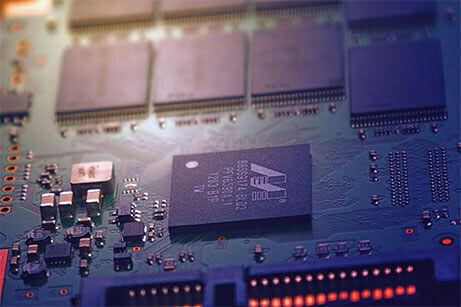 The device drivers offer a layer of abstraction that allows the CPU to talk as it does, translating communications to and from the connected device in its respective communication manner. You would think that since chipsets are embedded on systems and there is no direct interaction with them, well not an obvious way of doing this at least, that there wouldn’t be issues or concerns. Despite that thought process, security concerns do exist with chipset and chips in general. We know that security concerns do exist as in the case of the Spectre and Meltdown vulnerabilities, and the Intel-specific Foreshadow vulnerability. Further even was when Supermicro was under heat after allegedly having malicious tiny chips embedded on their manufactured server motherboards, though this is a hardware hack and is slightly different than a software hack. Upon researching other attacks on chips and chipsets, I actually came across one known as CLKscrew that warrants a post of its own. When you begin to understand how computer cycles work, then you can see how an attack like this is possible. I haven’t dived into research yet, but I will – stay tuned for that in a future post. With all the above in mind, it is clear that the potential attack surface is broader than one would think. The intention of this post is to distinguish roles of a computer’s chipset and breakdown different available components. Chipsets vary in function from personal computers, to Arduinos and Raspberry Pis. It is also intended to make known possible attacks that can be carried out on them, and with them, in their respective manners. Further, this post may give way to future posts about microcontrollers and expanding on Arduinos and Raspberry Pis (IoT security is a huge pitfall it seems). One big differentiator between chips within a personal computer and those on the two aforementioned devices is that there are public libraries available for use to program a particular device to do what you want. You might have a microchip used to control a matrix of LEDs, another to utilise radio frequencies, and beyond. Oh, the joys of collaborative efforts from enthusiast and developers alike! Continue the conversation regarding chipsets at Cyber Security X, Register your interest here.